Anne Gracie started her first novel while backpacking solo around the world. Originally published by Harlequin Books, she now writes historical romances for Berkley (USA) and Penguin Australia. Her books have been translated into more than sixteen languages, and include Japanese manga editions, which she thinks is very cool. 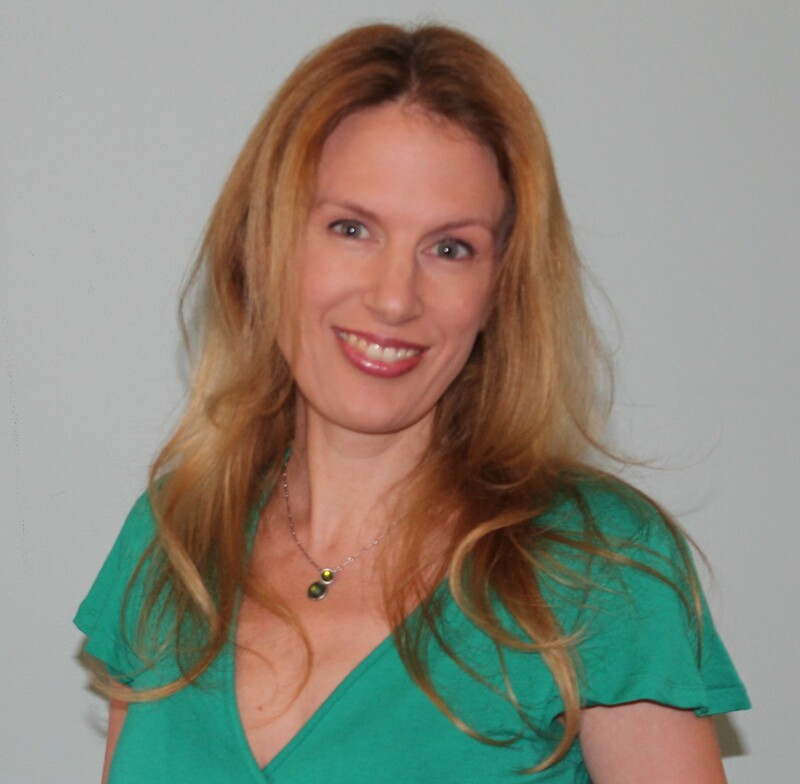 She’s a five time RITA finalist, has twice won the National Readers’ Choice Award (USA) and the Romantic Book of the Year in Australia, and has been listed in Library Journal’s best romances of the year. 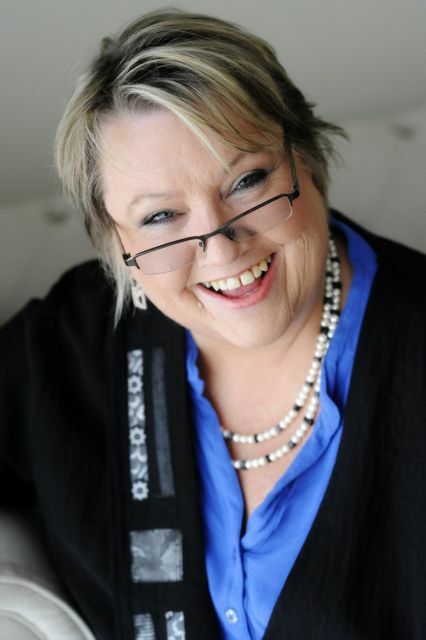 A former president and honorary lifetime member of Romance Writers of Australia, she’s currently working on her 18th book. I was backpacking solo around the world, and in countries where I didn’t speak the language stories started spinning in my head. So I started writing. I came home at the end of that year with a firm resolve to try to get published. In the process I discovered romance novels, fell in love with the genre and started submitting to publishers. Eventually I realized regency-era romances (set in Jane Austen’s time) were popular, and since I was raised on Georgette Heyer and still loved her books, I started on a historical. I sold that book to Harlequin, London. I’ve been writing a “seasonal brides” series, and I’m writing the last one – The Summer Bride. (The series started with The Autumn Bride, then The Winter Bride.) 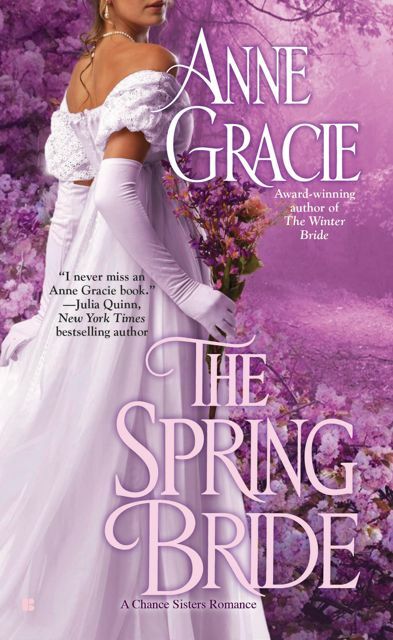 At the same time, I’ve just launched The Spring Bride, so I’m doing interviews and writing blogs. 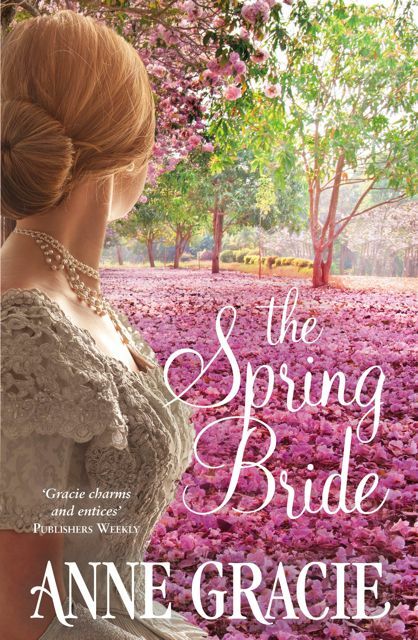 You can buy The Spring Bride here or here, or here for the mass market paperback (American) edition (the cheapest). 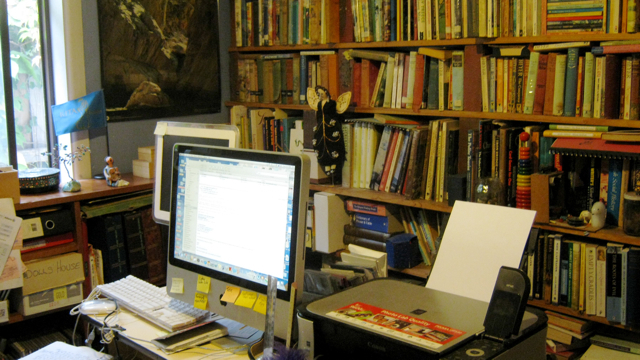 I work in three places – at home in a messy little office filled with books and papers, with charts and story collages on the walls. My desk is in the middle of the room, with a window on my left, and I face a wall of books which contains my childhood favorites and all my Georgette Heyers. I also write in bed on my laptop, usually late at night. At other times I head for my local library, where I write by hand in notebooks, the way I first started writing. I usually do that when I’m stuck – I find handwriting usually unblocks me. It depends where I am in the cycle of writing a book. When I’m starting out, I write in dribs and drabs, so I check emails and social media first and deal with anything of that sort. At the beginning of a book I do a lot of handwriting, so after the emails I’m off to the library to write by hand – or scribble, as I call it. But in the last half of a book I’m at the computer first thing in the morning, email and social media is cut to the minimum, and I can’t stay away from the work-in-progress so I’m on it all day and into the night. I’m an “organic writer” – ie. a “pantser.” I have a fair idea of what the story is about, and some scenes are really clear in my mind – and any scene that comes to me (which often happens when I’m either drifting off to sleep or just waking up) I will scribble down by hand straight away. If I don’t, I lose it. But on the computer I write my story in order, because sometimes a character will surprise me and change the whole direction of the story, so sometimes the scenes I’ve scribbled down then don’t fit the character or the story. I often get ideas for stories or scenes that have nothing to do with my current story, but I write them down too. Some of them have later sparked books or novellas. I often make a story collage – a collection of pics that somehow relate to the story (example here). They help me plunge myself back into the world of the story. I don’t do separate drafts, but I endlessly revise the manuscript, saving various versions as I go, and I’ll often try out different versions of a scene in separate documents before pasting the final one into the manuscript. Then when I’ve finished, I go back over the whole thing, polishing and tweaking and pruning. The very best thing I can recommend in editing is to read the story aloud – or get your computer to do it for you. It’s a great way to pick up clumsy sentences or repetition, or boring bits. I love it. I love writing romances. I discovered them late in life – as an Eng. Lit major, I believed what everyone said, that romances were junk fiction, and so I never bothered reading them. I was too good for that. LOL. But when I started writing for publication, people advised me that romance could earn me a living, so I started reading them . . . and fell in love with the genre. It’s a feel-good, hopeful, fun genre. People often write to tell me my books made them laugh and cry and forget their worries for a short time. And at the end, they felt better. Now that’s what I call a genre worth writing. People inspire me – doing amazing things, despite all kinds of incredible hardships. Story ideas come from everywhere – from life, or fiction or weird random thoughts, and then thinking “Yes, but what if X or Y happened?” And the possibilities start spinning in my head. Staying disciplined. When you’re working on your own, it’s so easy to get distracted by social media, or by the lovely new books that have just arrived – because reading is an essential part of the writer’s job – or by easier, shorter things to write, like articles or interviews or blogs. And at some stage in writing the book I overthink things and decide I’m writing complete rubbish and that this book is going to disappoint everyone and my career is over. Every single book. I wish I’d started writing sooner. I want to write the kind of books that people keep to read over and over again – as comfort reads. I want people to try reading some good romance. I want the world to stop thinking romances are rubbish – to see that there is huge variety in style, focus and quality – just as in any other genre. Too many to list. 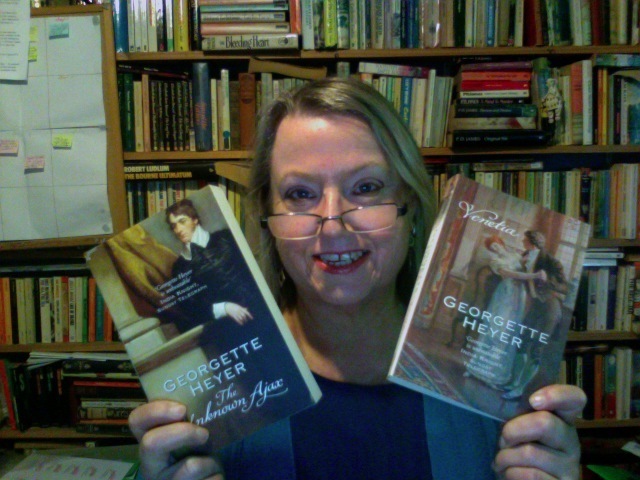 Georgette Heyer, Eva Ibbotson, Mary Balogh, Loretta Chase, Susanna Kearsley, Mary Jo Putney, Joanna Bourne. . . the list goes on.